Digitalisation’s impact on policing will be a major game changer and needs to be addressed with dedicated training and infrastructure, to allow European law enforcement to bring crime prevention to the next level – argued Detlef Schröder addressing the informal Justice and Home Affairs Council meeting in Bucharest, Romania today.  The CEPOL TRIO Presidency Handover meeting from The Netherlands, Slovakia and Malta to Estonia, Bulgaria and Austria took place in Budapest on 30 June 2017, at CEPOL. On 26 November 2015, a delegation representing the Netherlands Presidency of the European Union visited CEPOL’s Headquarters. The aim of this visit was to discuss the priorities and expectations of the EU Presidency and to explore ways for close cooperation between CEPOL and the Presidency Team. The delegation consisted of Mrs. Frederike Everts, CEPOL's Governing Board voting member for the Netherlands, Mrs. Sandra Wijkhuijs, National Contact Point, and assistants Mr. Guus Bakker and Mr. Cor van der Lugt. Stay updated and connect with us on Twitter, Facebook,YouTube and LinkedIn.